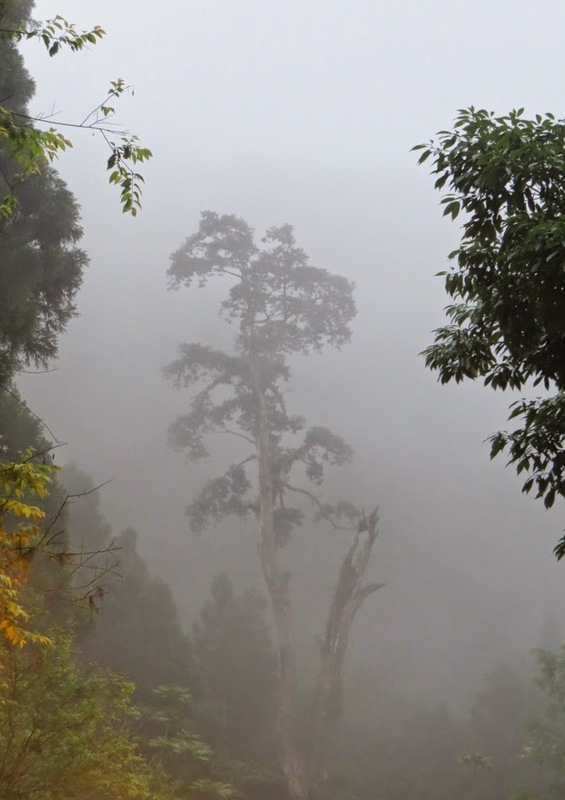 Did you know the Tropic of Cancer runs through the country of Taiwan? That simple fact placed the sun at it’s northern-most latitude—directly above Taiwan—right when we decided to visit our extended family there last June. In fact, I think the sun followed us around whenever we stepped outside. Taiwan is an island nation which by definition means “surrounded by lots of water.” And that water comes up from the south as part of the warm Kuroshio Current. We definitely noticed the sun and humidity. Near-100-degree (37c) temperatures and near-100-percent humidity make for a climate very different from the high deserts and alpine mountains in northern Utah. But despite coasts that are, obviously, at sea level, the central mountains rise up nearly as high as those in Utah—13,000 feet (4,000m). So imagine going from sea level up to 13,000 feet and back down in the space of 90 miles (145km). That would be a tough bicycle ride. All of this makes for interesting geography and climate, which in turn make it an interesting place for outdoor activities. The humid heat drenched us as soon as we stepped out the door, but the low elevation in the cities and coasts made it hard to get much of a cardio workout. Despite all that, my daughter Roro and I attempted to stay in shape through a regimen of urban jungle running. Our first daytime assault left us dripping wet before we even crossed the street, so we later decided to escape the daylight sauna and run after sunset. 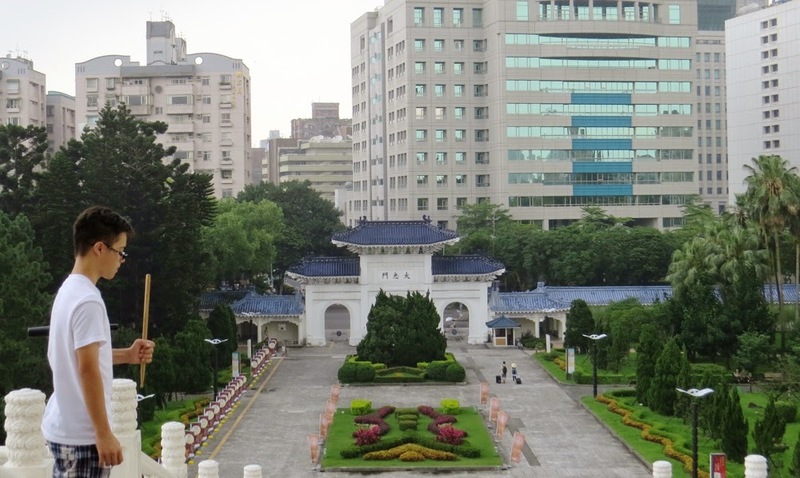 The sprawling Chiang Kai Shek memorial park 中正紀念堂 is a couple blocks from my mother-in-law’s house. There we found a crowd of other runners circumnavigating the grounds each night. The outer sidewalk provided an easier run, but a guerilla strike through the tropical trees and koi ponds of the park’s interior proved much more interesting. A few times we forced a full frontal attack on the long stairs leading up to the memorial—Roro did much better at that than I. On a short trip down the west coast, we tried another inner-city blitz in the morning rush hour streets of Hsin Chu 新竹. We ended up dodging a minefield of smog-choked traffic. That proved entertaining and we moved a lot faster than the cars did, but I think the damage to our lungs outweighed the benefits. 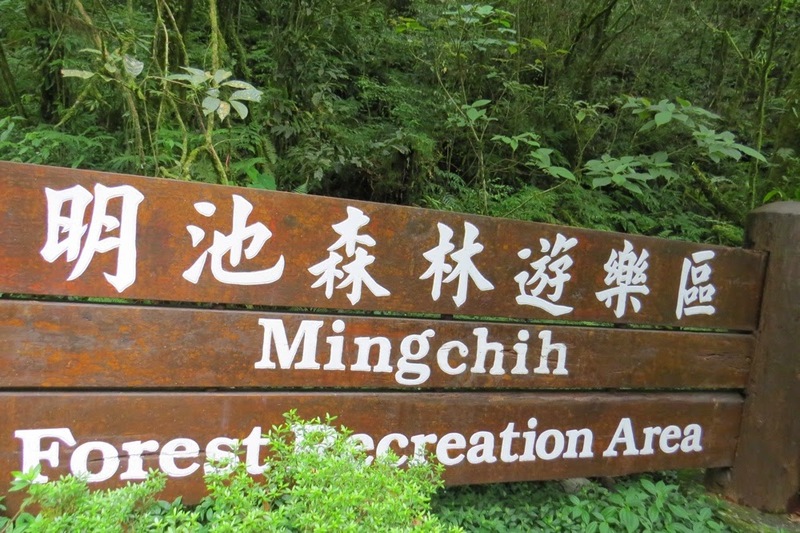 Our best offensive occurred in the mountains near a small resort area called Ming Chih 明池. The elevation there was low by Rocky Mountain standards, around 4,000 feet (1,200m), but the lack of vehicles and soup-bowl humidity of the cities made it much more comfortable. We started just after sunset and weaved along a narrow road surrounded by foliage so thick you could never get through it without a chainsaw. Or napalm. The cicadas hummed their noisy songs in a deafening symphonic rhythm. Bats darted through the skies above us. Few scenes could be more peaceful and relaxing—until we startled a sleeping dog that howled and made us slam into each other. All of this was an attempt to maintain some level of fitness so we could run the Spartan Beast a few days after we returned home. Going from three-and-a-half weeks living at sea level to running a 12-mile (19km) obstacle race at 5,500 feet (1,700m) ended up being a bad decision—the Spartan was very grueling!